C & G Containers, Inc. (C & G) consists and operates three (3) Product Divisions; The Pre-Clean Division; providing certified pre-cleaned glass and plastic containers for environmental use to collect water and soil media. C & G’s Pharmaceutical Division; custom processing of vials, tubes and glass containers and the third, the General Packaging Division; an assortment of packaging supplies and small to large containment containers. C & G Containers, Inc’s third Division is General Packaging. C & G provides a vast array of containers and containment vessels including over-packs, cans, buckets and UN drums in both plastic and steel. In addition, C & G provides Hazardous Material supplies, including hazardous shipping boxes and labels, specialized cartons and containment and spill products. C & G also sells packaging supplies such as cardboard boxes, packaging tape, wraps, bags, banding materials and packing fillers and an assortment of food and cosmetic containers. 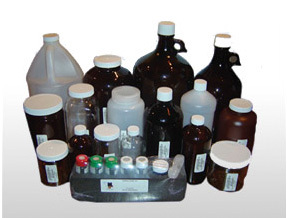 C & G Container’s Pre-Clean Division provides a large assortment of certified pre-clean closures, liner inserts and containers of different sizes and material composition to numerous business sectors for analytical testing of chemical impurities, environmental contaminants and storage uses. Sectors of use include environmental laboratories, distributors, consulting firms, chemical companies, petrochemical companies, pharmaceutical and drug companies, state agencies and agencies of the state. C & G Containers, Inc. has an established Pharmaceutical Division. The United States Pharmacopoeia (USP) has guidelines for determining System Suitability, Water for Injection (WFI) and criteria for Purified Water under USP Method 643. C & G developed cleaning procedures that consistently achieve <10 ppb Total Organic Carbon (TOC) for 20, 40 and 60 milliliter glass vials with PTFE/Silicon septum closures used for the above applications. C & G provides “Specialty Grade” < 25ppb Total Organic Carbon (TOC) water for Bio-Tech and Pharmaceutical applications. In addition, C & G custom processes Tex-wipe swabs, Nalgene® PPCO and PSF tubes, an assortment of glass test tubes, and other glass containers up to four liters in capacity volumes. C & G provides an additional custom cleaning of special glass containers with sterilization and for Depyrogenation purposes.